The Hatchery is an old prawn breeding unit located on a lagoon overlooking a deserted beach and nature reserve. A perfect getaway for those seeking a vacation away from the city life. Accommodation comprises 11 rooms and 1 rooftop tent suited to accommodate up to 49 guests. In-room facilities include comfortable beds, linen, towels, air-conditioning and showers. Establishment facilities include a swimming pool, braai area, conference facilities and secure parking. Guests are welcome to making use of the communal kitchen and dining table to suit their self-catering needs. Facilities on-site include fly-fishing, fishing, bird watching and mountain biking. It is ideally situated a few minutes off the N2 freeway and less than an hour from King Shaka International Airport. We are a springboard for your journey to St Lucia and Isimangaliso, the Kruger, The Battlefields, The Elephant Coast and even Swaziland and Mozambique. The hatchery is also a unique destination to in itself and is a must do for any visitor looking for a real experience of what africa is like… Guests often feel that something about this place is special. We have changed the pump house, artemia and maturation rooms into 11 spaces – each one can be experienced and enjoyed – they’re individual and different …but modular so you can mix and match your group. So have a look through the rooms and pictures and the butlers look forward to welcoming you to your own unique experience. The Wedding Venue contains a ceremony deck or alternatively offers a ceremony on the dunes with views of the lagoon, sea, and reserve, a reception area, and can cater for up to 100 guests. Error: Error validating access token: Session has expired on Thursday, 29-Nov-18 13:30:35 PST. The current time is Saturday, 20-Apr-19 01:17:31 PDT. 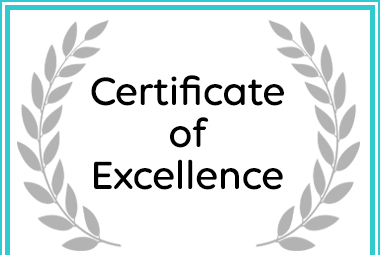 The Hatchery received a Certificate of Excellence Award for places in Amatikulu.